I absolutely love ISeeMe! Personalized Children’s Books. We have quite a few of their books and I have even written a few blog reviews in the past. Recently I was given another opportunity to work with ISeeMe! on another review. I received a free personalized book for review. All opinions expressed in my review below are 100% my own. ISeeMe! currently has quite a few holiday books and they even have bundles where you can get a personalized matching Christmas ornament. 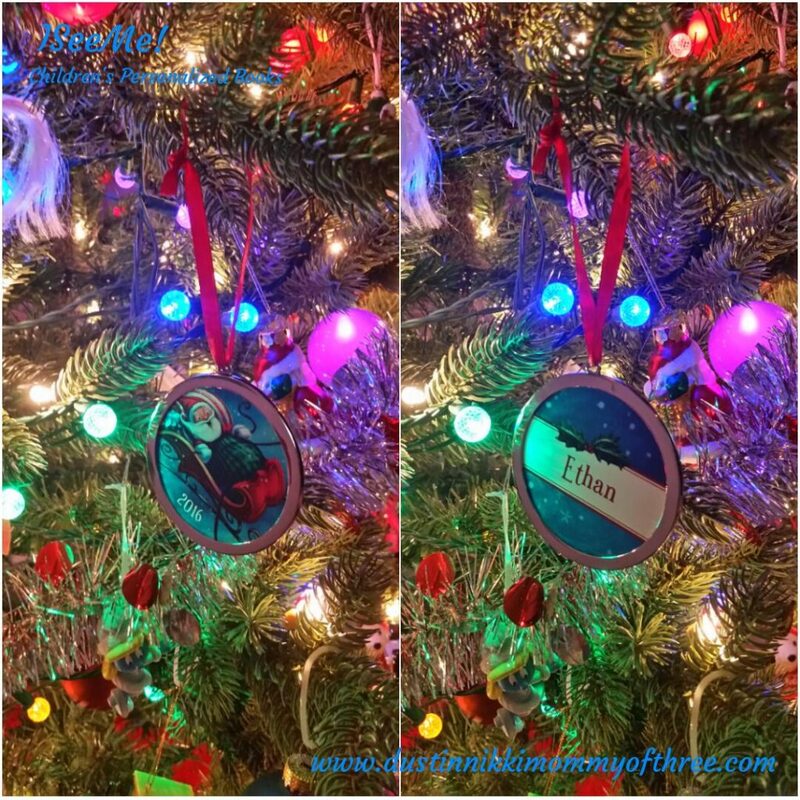 The ornament we received with our book features Santa (the same illustrated Santa from the storybook) on the front with the year and on the back, our son’s name is printed there. It looks really cute. The ring of the ornament is really shiny metal and it’s got a little weight to it. It’s pretty durable and of course has a ribbon attached so you can hang it. The illustrated Santa and name is printed on a tough, durable cardboard-like piece. You can actually slide it out too if you want to insert something else in the ornament. Instead of an illustration from the book, you can also get them with a picture of your child instead. The reason I love ISeeMe! is because of the way they personalize their stories and books. It’s not just as simple as adding a child’s name here or there like some other personalized book companies do. ISeeMe! not only includes your child into their books. They also include siblings, parents, grandparents, pets, and even your city or town. 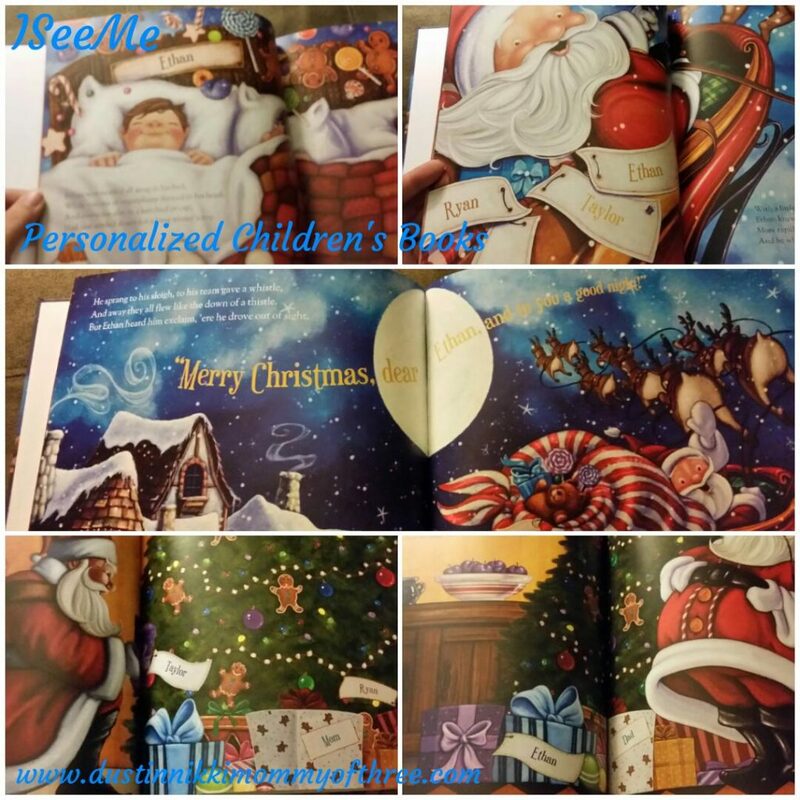 When you order a book and enter all your personalizations you can even choose your child’s hair color, skin tone, type of hair, etc. so that the main character can somewhat resemble your child. 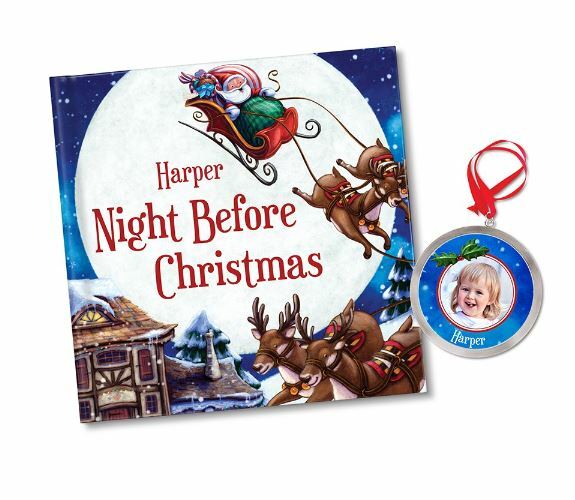 “Night Before Christmas” is a version of “‘Twas The Night Before Christmas”. Your child’s name is in the title. The first page of the book says “‘Twas the night before Christmas, when all through the house. Not a creature was stirring, not even our dog. Ethan’s (your child’s name) stocking was hung by the chimney with care, in hopes that St. Nicholas would soon be there.” So instead of saying “mouse”, that part of the story says dog because I included our dog in the story. The illustration included a fireplace with our last name above it. And all the stockings hanging from it has our son’s name, his brother and sister’s name and mom and dad. We all have our own stockings in the book! There’s a dog laying on a dog bed and the bed has our dog’s name, Dooley on it. My son loved this story right from the beginning. It immediately brought a smile to his face when he saw everyone’s name on their own stockings and our dog lying in front of the fireplace. Throughout the whole book his name, his sister’s or brother’s name or even mom or dad can be seen on the stockings on other pages and even on gifts. I love it because our names including our dog is found all over the pages. There is even a nice list at the beginning and we are all on it. The part of the story of the story where it goes “When out on the lawn there rose such a clatter, (child’s name) sprang from his bed to see what was the matter.” The illustration shows your child looking out his/her bedroom window and there is even a sign that has your town’s name on it. It’s really cute. The illustrations are adorable. “‘Twas The Night Before Christmas” has always been one of my favorite Christmas stories and all the personalizations makes it even more fun. The personalizations are also inserted everywhere in the story in an appropriate way meaning that they don’t look like they are forced into the story. 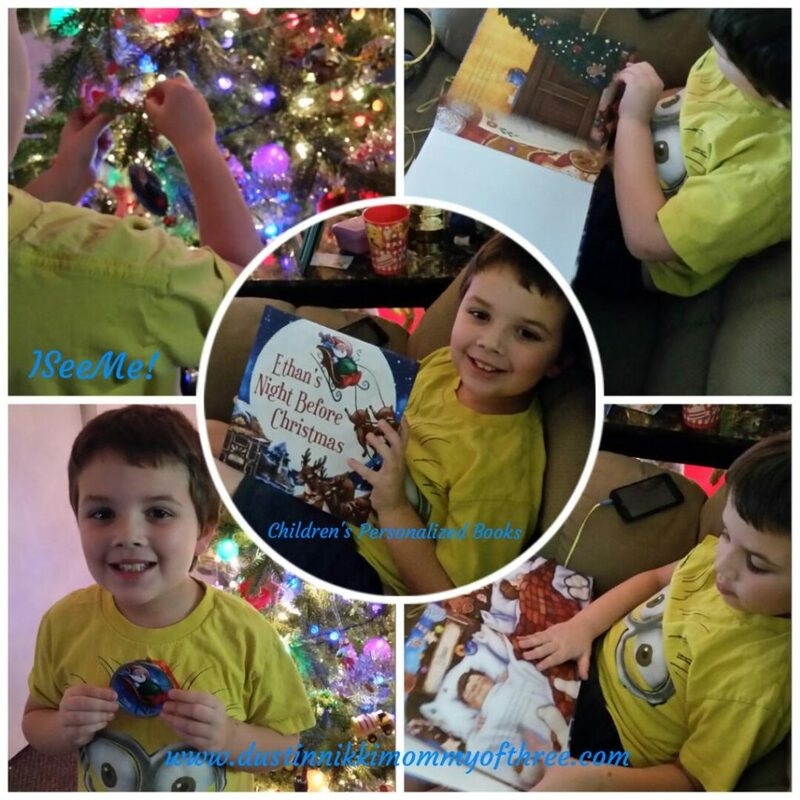 My kids have other personalized books and none of them are done as well as ISeeMe! That is my own 100% honest opinion. I have purchased some of their books last Christmas for gifts including my nephew as well and the kids just absolutely love them. They are done beautifully and they make really great keepsakes as well! I can’t say enough how much we love these books! Buy It: You can buy ISeeMe! Personalized Children’s books by visiting their website. There are different buying options such as single books (including board books as well) and gift bundles. Ordering is really simple even with all the personalizations. Go check them out! Right now you can get 20% off everything with code 12DAYS at checkout and they have a Guaranteed Christmas delivery. 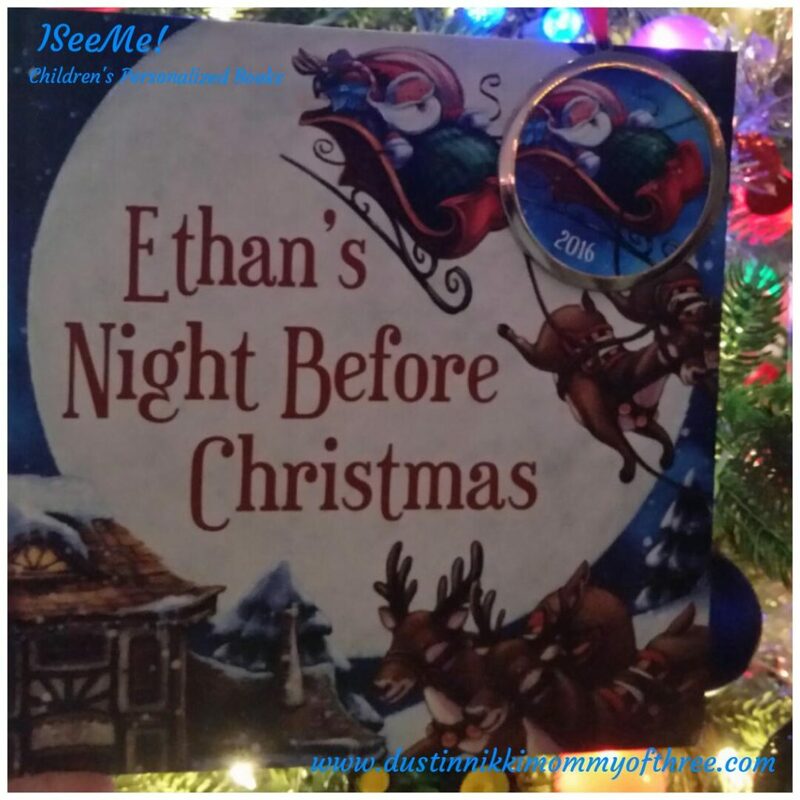 One of my lucky DustinNikki Mommy of Three readers will win a personalized copy of “Night Before Christmas” with ornament for their child! Giveaway is open to the USA. Giveaway will end December 20, 2016 at 11:59pm EST. Use the Rafflecopter form below. It’s as simple as just clicking! You must complete the mandatory entry before extra entries are unlocked. See each instruction for each entry. 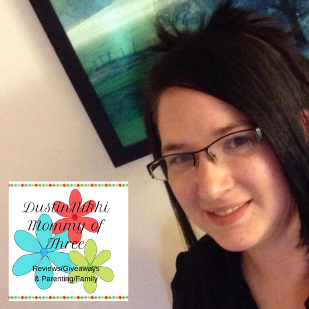 You must follow DustinNikki Mommy of Three in some way (does not have to be every single way) like Google+, Facebook, Twitter, etc. Of course of all the ways that you can follow us, are also extra entries too. 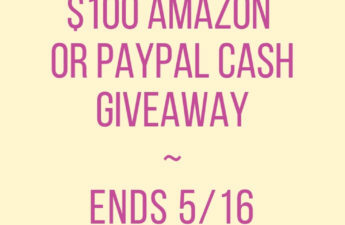 See all ways of entries in the Rafflecopter form. Mandatory entry will require a comment on this post. If you have any problems with the Rafflecopter form, please let me know by either leaving a comment on this post or by sending me an email and I will take a look at it. Disclaimer: I was not compensated for this post however, ISeeMe! 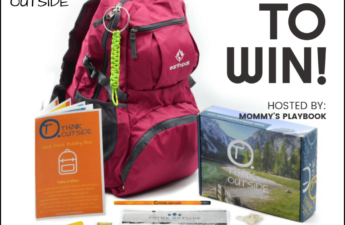 brand provided product mentioned in this post for my honest review and is providing a free prize pack for this giveaway. All opinions expressed in my post are 100% my own. I’d also love to get the My Snuggle Bunny Book, Bunny and Placemat Gift Set. Who Loves Me? Personalized Book for Twins. The book “We Go Together Like…” would be perfect! The farm friends book looks cute! My very own name books. 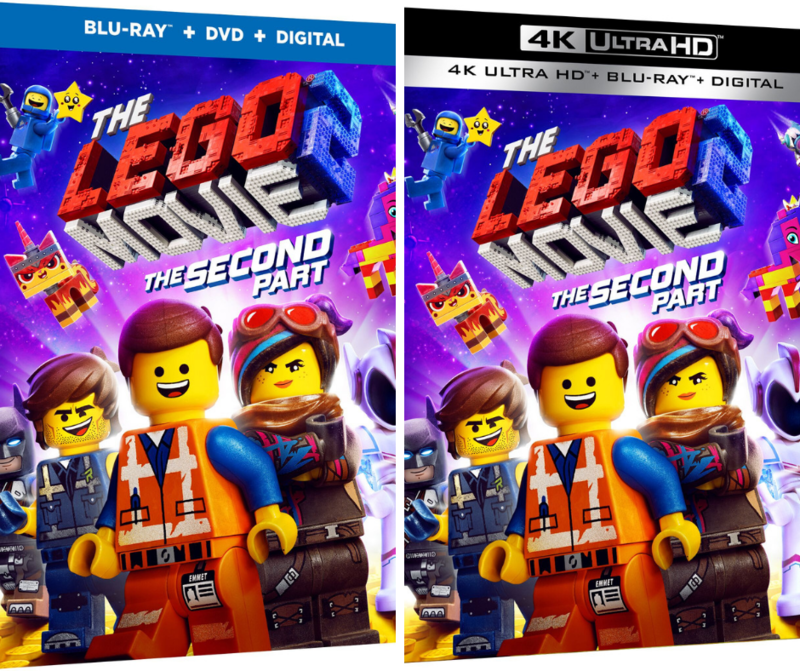 my kids would like the We Go Together Like… book! it would have them both in it! My son would love the “My very own trucks” books! The magical snowman book looks adorable!